The mission is simple: serve delicious, affordable fare guests will want to keep exploring week after week. Served from 11 a.m. - 3 p.m. Served with house salad or miso soup, three pieces of Shrimp Shumai, three pieces of the California Roll and fruit. Lunch prices are not available on holidays and weekends. 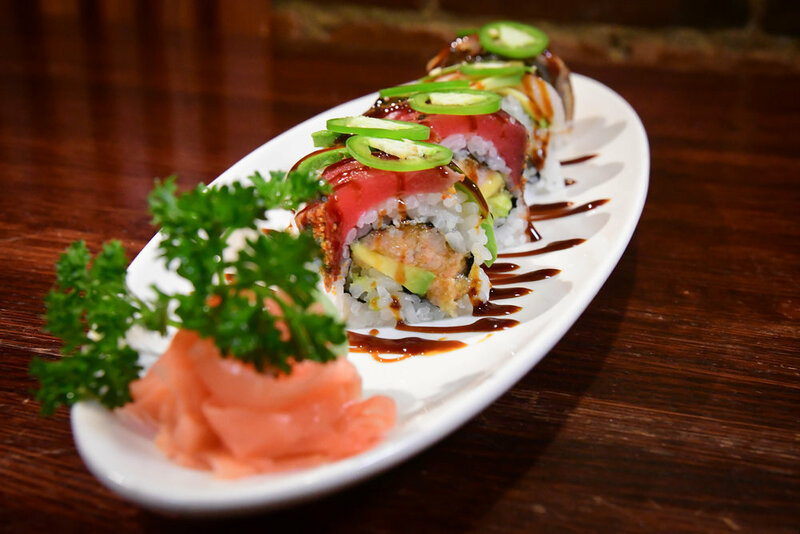 Any two rolls for $9 / three rolls for $12 and served with a bowl of miso soup. For kids 12 and under, served with a bowl of miso soup. Hibachi items are served with a fresh garden salad, soup, vegetables and fried rice. Teriyaki items are served with a fresh garden salad, soup, vegetables and white rice.